Despite the description of it being a microlight.. I'm interested as to what the thing that looks like a parachute is? Someone fitted a Cirrus-esque chute to a classic? Or did the guy try to parachute from the tree? It's actually Cirrus who took the idea from the microlight community. BRS (Ballistic Recovery System) has been producing rocket launched parachutes for hang gliders and microlights since the mid 80'. 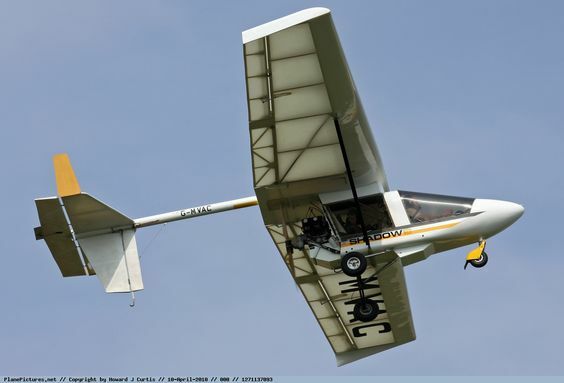 It's called a Platzer Motte, legally a microlight. Was it a Plane tree? Ah ok my apologies to the BBC then. So it does have a ballistic parachute, i see references to previous accidents on that type using them. Better than my friend's brother in a microlight in Saskatchewan: R.I.P. Microlights, or Ultralights as they are called in germany (up to 472,5kg MTOW), have to have a BRS fitted, it is a basic airworthiness requirement for them. Well, at least it is in germany, might be different in different countries as it is a class of aircraft that is not regulated by the EASA, it still is regulated by each country on its own. Basil, that is a flex-wing 'weightshift' control microlight. 3 axis control microlights are available. They are just very lightweight aircraft. And horribly uncomfortable on a hot summer day. Not the first time. Who can forget Captain Biggles.. The aircraft was lodged in the tree about 30m (98ft) above ground near Degenfeld and the rescuers had to abandon initial attempts to bring him down as night fell. Does no one teach cadet journalists not to use inappropriate precision? If it's 'about' 30m it's about 100 feet, unless it's been roughly measured. I encountered the same when we 'decimalised'. Imperial fractional dimensions on drawings were converted to 4 decimal places of millimetres.